PURCHASE YOUR $10 ADVANCE TICKETS! If you make the best chili in town, prove it! 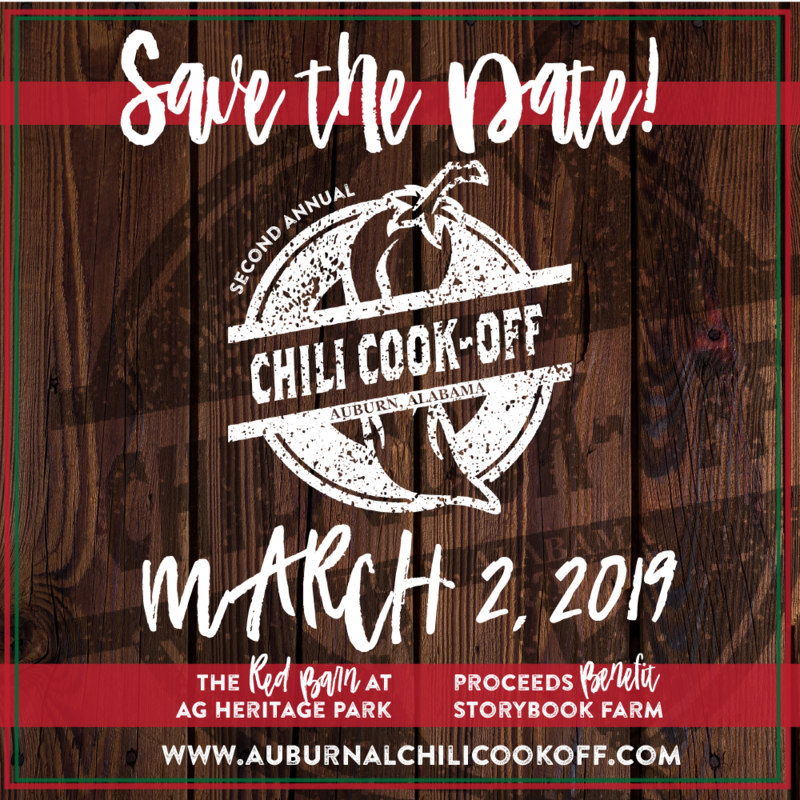 Enter the 2nd annual Auburn Chili Cook-Off! Backyard teams (those not associated with a business) can enter for $250. Businesses interested in entering a team and sponsoring the event have several sponsorship options to choose from. WILL YOU ACCEPT THE CHILI CHALLENGE? Watch for our Chili Challenge team - they may be making their way to your office to challenge YOU! Storybook Farm is a magical nonprofit ministry where courageous children faced with a variety of physical, emotional, social and cognitive challenges embrace and celebrate life through interaction with horses, dogs, cats, goats and other animals, as well as activities on the Farm! Storybook Farm’s mission is to walk alongside children with uncertain futures and provide them with unyielding joy and hope. Follow along on Facebook or Instagram at @auburnalchilicookoff!